Search all homes for sale in San Marino, CA. San Marino is a quiet and affluent suburb of Los Angeles, nestled in the San Rafael Hills near Pasadena. The city is among the most popular places for home buyers to consider if they are looking for luxury homes and mansions. In fact, it's one of the priciest areas in L.A. County - and the entire United States. View the latest San Marino home listings below (refreshed every 15 minutes from the largest MLS in Southern California) or scroll down to read more about the city. If you haven't already, be sure to register for a free account so that you can receive email alerts whenever new San Marino listings come on the market. Luxury homes in San Marino are much higher than the L.A. County average. Gorgeous estates and mansions sit on large lots, surrounded by well-manicured landscaping. The streets where home buyers will find these prestigious, custom homes are lined with mature shade trees which create a bucolic charm. Nothing here feels cramped nor ordinary; homes in San Marino either have open front yards deep setbacks. Home colors are generally muted, producing a quiet elegance. Indeed, houses in San Marino are well-maintained and beautiful. Through local controls, they will remain that way for future generations; building permits (for new construction, additions, or repairs) are issued only after a multi-step review by various local authorities. All plans are heavily scrutinized by the City's Design Review Committee with a heavy emphasis on maintaining a low-density residential community rich in architectural character. There are no apartments, condos, or townhomes within the city's borders. Local zoning emphasizes setbacks, natural slopes, and respect for the existing trees and natural physical attributes of the land. The heyday of home construction in San Marino took place from 1920 to 1950. Given the concentration of wealth in the city, a vast spectrum of architectural styles is represented among the custom-built homes here. Home shoppers will find houses for sale in San Marino in styles like Cape Cod, Colonial, Contemporary, Craftsman, California Spanish, Minimal Traditional, Mediterranean, Italian Renaissance, English, Cottage, French, Tudor, and Georgian. San Marino is one of the few places in Los Angeles County where one can find faux antebellum mansions resembling Southern plantations. 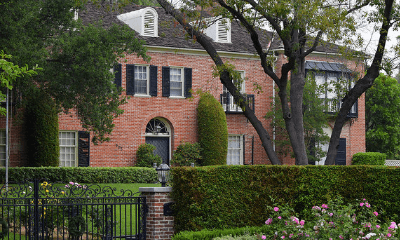 From the 1920s to the 1940s, celebrated architects designed many of the luxury homes in San Marino including Wallace Neff, Roland Choate, George Washington Smith, and Paul Williams. If any appliances are included with the sale, those will also be noted. When available, San Marino demographic information is displayed along with the neighborhood's walkability, and population within the 91108 zip code. Above you will find all active real estate listings in San Marino (the seller is still soliciting offers). To view active and pending listings (active, but currently under contract), please use search the filters to select all properties, then click the search button. The updated results will display all home inventory in San Marino, including those whose owners may be accepting backup offers. If you're buying a home, our full-service San Marino real estate agents are at-the-ready to assist you. If you're selling a home in the San Marino area, our listing agents will provide current market data, comparison properties (comps), and a highly-tailored marketing plan to make sure you get the best price for your home. San Marino Unified School District (SMUSD) operates the public schools in the city. The district consistently ranks as the top unified school district in California. In fact, every SMUSD school has been recognized as a National Blue Ribbon School, an award bestowed by the U.S. Department of Education for academic excellence. There are also two private schools in San Marino.